Need to reduce customer complaints and operating costs? 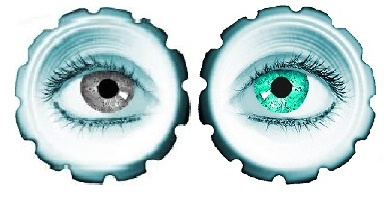 Our Human Calibration method recognizes the fact that every individual views things differently. Each person brings their unique bias, subjective opinions and personnal preferences to each decision they make. Unchecked and uncontrolled this human trait is disastrous when approving or rejecting production parts/finished goods during Quality Control inspection! Over rejection increases manufacturing costs while under rejection increases customer complaints. We can "calibrate" your inspectors. 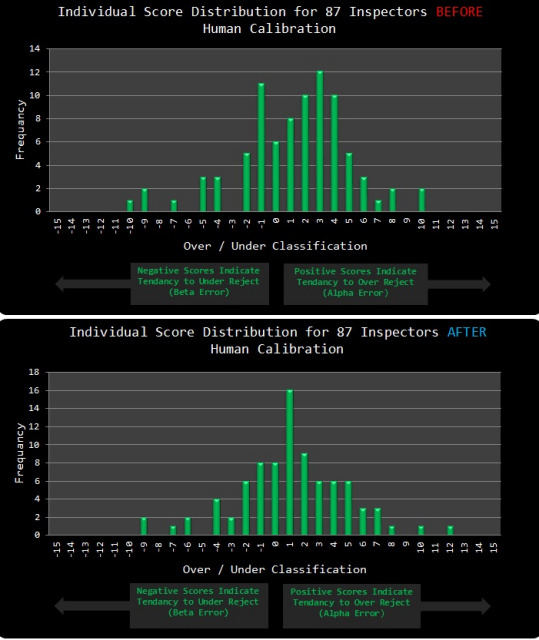 The following data shows the inspection correction the Human Calibration training method made. Every production facility using manual visual inspection experiences inspection errors - you are not alone. 90% of manufacturers use some form of visual inspection - 100% experience some form of over and under rejections and repeatability errors. If you have had the following discussions, Human Calibration is the inspection solution you have been looking for. "Everything gets released on the Saturday or Night shift..."
"She has really good vision, like 30/20 - she rejects everything..."
"That's just the way he is, easy going, everything looks good to him..."
"The lines were running fine on Shift A, as soon as Shift B came in everything started to be rejected...must be the machines"
"Maybe the sample they inspected was the only good product in the entire batch..."
"How come the customer can find the defects... but we can't?" Had enough of these meetings? Recognizng the problem is the first step - we have the solution.